Updates on Sergei Bobrovsky, Artemi Panarin, Micheal Ferland, Dougie Hamilton, Ryan Dzingel and more in today’s NHL rumor roundup. NEW YORK POST: Larry Brooks reports there’s a prevailing opinion suggesting the New York Islanders could pursue Bobrovsky via free agency in July. However, he points out Robin Lehner’s “outstanding work” this season as the Isles starter. SPECTOR’S NOTE: Despite Bobrovsky’s struggles this season, he is the only active multiple Vezina Trophy winner. There could be general managers in dire need of an upgrade between the pipes, such as Fletcher in Philadelphia, who could be willing to bet that changing teams could improve his play. Bobrovsky’s inconsistency will hurt his trade value unless he turns things around leading up to the deadline. Significant improvement on his part, however, could also convince the Jackets to hang onto him for the remainder of the season. As for the Islanders, if Lehner remains healthy and maintains his current level of play (.926 save percentage, 2.21 goals-against average, 12 wins, and two shutouts) over the remainder of this season, they’ll have no need to pursue an expensive starter this summer. Re-signing Lehner, who’s on a one-year, $1.5-million contract, to a longer-term deal with a healthy raise would still be more affordable than chasing Bobrovsky. Bobrovsky and Panarin to the Panthers? Garrioch didn’t specify if he meant via trade or free agency. Either way, it’ll be costly for the Panthers. If it’s a trade, the Jackets will want a significant return involving at least two good young roster players. That type of blockbuster rarely happens anymore. If it’s via free agency, the Panthers will have to shed considerable cap space to make room for what could be their combined $20 million annual average value. THE NEWS & OBSERVER: Luke DeCock recently reported the Carolina Hurricanes are in a tough spot with winger Micheal Ferland. Acquired last summer in a trade with Calgary, he’s slated to become an unrestricted free agent in July. The Hurricanes want to re-sign Ferland and he enjoys playing there, but the cost of re-signing Sebastian Aho and Teuvo Teravainen and landing a new starting goalie this summer could make Ferland too expensive to retain. That’s generating speculation he could be moved before next month’s trade deadline. DeCock feels it’s imperative for the Hurricanes to move either Justin Faulk or Dougie Hamilton before the deadline for a scoring winger. SPORTSNET: Nick Kypreos reports Ferland could be seeking a deal comparable to the six-year, $31-million contract of Washington Capitals winger Tom Wilson. Though he lacks Wilson’s pedigree, Ferland’s physical style could make him an attractive target. Kypreos also said Dougie Hamilton seems the most likely to go if the Hurricanes shop a defenseman. 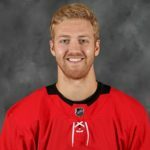 OTTAWA SUN: Bruce Garrioch reports there’s talk the Hurricanes have received “plenty of interest” in Ferland, as well as defensemen Dougie Hamilton, Justin Faulk, and Brett Pesce. SPECTOR’S NOTE: If the Hurricanes are moving Ferland and Hamilton, who were acquired from Calgary in exchange for Elias Lindholm and Noah Hanifin, they must get a solid return for both that can help now and over the long term. Hamilton, who’s under contract beyond this season, should fetch a scoring forward. Ferland might land them a promising youngster or maybe a first-round pick if they can find a contender keen on going for the Cup this season. SENATORS WILLING TO MOVE DZINGEL? OTTAWA SUN: Bruce Garrioch speculates the Senators will try to re-sign pending UFA forwards Mark Stone and Matt Duchene while listening to offers for Ryan Dzingel. He claims there’s plenty of interest in Dzingel because of his speed and offense (17 goals entering last night’s games against San Jose), though the 26-year-old can be a streaky producer. SPECTOR’S NOTE: Re-signing Stone and Duchene and moving Dzingel appears the best case scenario for the Senators. However, if they can’t re-sign Stone and/or Duchene, they’ll probably do what they can to keep Dzingel in the fold. Garrioch reports there’s word Los Angeles Kings GM Rob Blake is “listening on forwards Ilya Kovalchuk, Dustin Brown, Jeff Carter, Tyler Toffoli, Carl Hagelin, Nate Thompson, and Kyle Clifford”, as well as defensemen Jake Muzzin and Alec Martinez. Most of them won’t be moved, as some of the forwards have expensive contracts. WINNIPEG SUN: Ken Wiebe noted a recent report by TSN’s Pierre LeBrun suggesting the Jets could be a destination for Philadelphia Flyers winger Wayne Simmonds before the trade deadline. Wiebe, however, believes the Jets focus will be on acquiring a left-handed defenseman or a second-line center. Why? They’re sitting 5 points outside a wildcard spot today….and 9 points from the basement of the east. So if they’re 9-12-15 points out come the deadline it’s “imperative “ they move out a defenseman that has term left of their deal in a lost season? Is it “imperative “ they improve their season scoring for the stat sheets? There is no specific reason to unload Hamilton unless you think this season can be saved by swapping him for a scoring forward. Unloading him just, uh, to unload him doesn’t make any sense if the season is lost. Canes will have room for Ferland’s salary with Williams coming off the books even with the new contracts. Tom Dundon made two moves to make moves and both look like the worse trades of the summer. As a huge Ronnie Francis fan feels good to see it was not on him…. When you force a trade you have a good possibility of ending up with trades like the Skinner trade. It would send a good message to the team and fans if Carolina’s management just said Ferland is not on the market and they will try and sign him after the season. I digress …. I’ve just been reminded with the stink eye that it’s imperative I get the grocery shopping done …. now !!!! Not to put too fine a point on it, but to DeCock everything is imperative. Wouldn’t Justin Williams be a good pickup at the deadline? He’s been there, done that. well if Ferland may not be signed, perhaps offering him, Hamilton and a conditional 1st to OTT for STONE. Sign Stone and there you get additional scoring. Would look good with Aho. Not saying that the deal doesn’t work as fair return; but I think that keeping Stone should be a priority for Sens. I don’t think Ottawa would, or should concern themselves with that pick. If they have the opportunity to make a deal that betters the team, this is not something that will be on their minds. That pick is gone, done, and they’re not getting it back. It more than likely ends up a high pick no matter what they do anyway. The bigger concern would be losing Duchene for nothing. That makes that entire trade seem unforgivable. DeCock is pretty limp with his assessment. Philly is 14pts out of the playoff picture and every team to climb over. There season is done, why would they ever make a trade to give up assets to improve this season. They can approach Bobrovsky is the offseason and just pay money. Although what you said makes perfect sense, the other side of things would lead to Fletcher pulling off the trade to secure next year while trying to shed some excess salary (not including “pending UFAs”. Simmer is done, Raf is gone, hope to send Andy Mac…doubtful, possible that Gudas (who has had a good season) and possibly Hagg could be traded along with Weise (doubtful) and dare I say….prospects…I hope your right that they wait but….I’m not yet sure that will be the case because Fletcher is being controlled by Homer and Clarke the puppet masters…the team has lost significant revenue this year….day prior to games, ice level tickets have gone for $45 bucks…. If I ran the Leafs, Gudas is already wearing leafs jersey. I get the flyers need a goaltender for the short term. Hart is the future, needs a couple years. Why saddle yourself with Bobs who’s going to want money and term on his next deal. Bob to Philly makes absolutely no sense, but if they really did want him they could just sign him for nothing. Why would they trade for him now? The guy can’t win when it counts. Deer in the headlights.. I don’t see him having a ton of value. A pretty big deal for both Panarin and Bob. I think start with the goalie . No one is bigger than the team. Bob thinks he is. Careful. Mike sorry you didn’t get the 5-0 win last night you were hoping for, but you can take solace in the fact you were correct there was 5 goals scored. Unfortunately your team only got 2 of them. Caper if you read my previous posts here you will agree I am right in the fact that our coaching staff and Dubas and company have no clue of judging talents and players value. Again in full display last night Nylander, Marleau, Kadri, Gardiner, and Zaitsev a combined $26.5 mills we’re -12 in the game. These are the same players I have been criticizing all year because as clear as day they are dead beats that are dragging the team down. I feel so sorry for Marner, Matthews, Tavares, Rielly and Andersson because they are playing their hearts out and it’s all for nothing. Do you think, if the leafs had a third line of Martin/Maroon/Reaves and defence paring of Gudas/Muzzin would be worse than those current 5 dead beats. At least with these suggested players we would have bruised those high flying line of Pasternak/Bergeron/Marchand and send a message for the playoffs. Boston is laughing all the way home and praying for 1 St round match up with the Leafs. Babock was quoted as saying at the pregame how Boston style of team is what the Leafs want and that they can take advantage of. Well, another loss against so called favorable match up. And he went on to say after the game how he liked his team played. Give me a break. Overpaid coach defending overpaid useless pile of crap third line and two dilunquent defence paring. Dubas need to hire me as their coach, I will work for free and bring better results or they need to find a way to resurrect Pat Burns from the grave. This is absolutely disgusting and disgraceful. Too many Ballerinas not enough WARRIORS in this team. Somebody laughed at me here for suggesting to trade away those five useless bag of crap for more grit and sand papers, well you really do know what you are talking about don’t you. -12, if those stinkers sat out last nights game we would have won the game. I rather have Marlies third line and any two defence pairing than have those invisles. Fed Up! Why can’t so called experts see what I see with this team. Dubas do your job or resign and recommend me to do your job. Nice rant, a true fan! As A Bruins fan I thought we were lucky to get out of TO with 2 points. The Laafs were the far superior team and dominated quality chances. Rask was outstanding (most confident I have seen all year), and 2 brain farts. That was the story of the game. In a 7 game series, that has to play out in the Leafs favor, unless Rask stands on his head for 2 weeks. Hey Mike why don’t you just support another team then l don’t have to read your stupidly daily ! Bogbadbruins, the scoring chances were 28-20 in favor of the Leafs. I think the Bruins can play better than they did. They are going to have to to beat the Leafs in a 7 game series, especially with Anderson back and if he plays well. It was a great game and will be a great series. Somehow I feel “Mike” is someone else on this board. Good game last night Caper nonetheless. Zaitzev and Gardiner secretly play for the opposing teams, I swear man. Gardiner, must get nervous when he plays against Boston. That will need to change. Question for you or other leaf fans… I’m a huge Kadri fan, with his totals down how much of it is being the third line C; I didn’t look at the ice time but I would imagine his ice time and lesser wingers are part of the issue. Also wasn’t he usual physical self last night but had a few chances. Kadri is at best okay player. He is what he is a third line center who thinks he is a 1st line center. He lacks intelligence and he showed that last night when he try to score at an impossible angle, if he had any brain cell he would attempted a bank shot off the dman or the goalie instead of shooting across to the other side with zero chance of scoring. If he was a right handed shot it makes sense for him trying to score in his off wing. This is not a single incidence it happens every game when he tries to force the issue and score when he has wide open option on the ice. I trade him in a heart beat for a player like Tom Wilson or a decent defenceman. Or even a decent draft pick. I would take Kadri on my team any day. I have said as much on here multiple times. If the Leafs don’t want him I am sure my Bruins would take him. There was a guy at the other end of the rink that hurt the Leafs just as much as the Toronto defence. TO has no answer to Chara. And last night game wasn’t even half physical as Bruins norm. Come playoffs TO will die, if they don’t make changes soon. I have been saying that for the last five years when Gardiner is on the ice TO is in Penalty Kill mode. Just look at game 7 last year. Mike, I occasionally look at game stats. The one stat they get beat on every game consistently that I see, is HITS & I believe BLOCKED SHOTS. Other than that, leafs are playing good/great for a young inexperienced team. Suprisingly better at defence also. I agree, at least one of: a big brusing forward and a steady/tough dman and perhaps a goalie is needed to pass the elite teams; although, at least they can compete as-is. Due to unknown salary constraints, I don’t see Dubas making a blockbuster until AM/MM are signed. In a perfect world, a sign & trade swap of gardiner + for a RHD. (ie. gradiner+ for trouba/myers). Either ways the leafs are contenders and have assets to trade. And although, a Pronger/Doughty isn’t available, some other decent RHD will be available in the next few years for a change. In a couple of years, I’d like to see a more consistent lineup (2 offense/2 checking) but this defense might only consist of reilly, so thats the concern. All the questions marks (minus #1 RHD), should be anything like Martin/Maroon/Reaves and defence pairing of Gudas/Muzzin whether via trade or homegrown over the next couple years. Wow you must be an ex player or coach with such insight ! Really dude please go support another team . You’re cheering for the wrong team, Mike. You want an old style Leaf team, belligerent etc. What Brian Burke said. I think this year’s version of the Leafs can beat Boston but not the rough and tumble Tampa Bay……. So Luke DeCock the sports writer that called the trade with Calgary “exhilerating” is telling us that Carolina is in a tough situation with Ferland being a UFA. The same sports writer that chastised Ron Francis for not making player for player trades as the new management team has. Now he is recommending Carolina trade a key defensman during the season to improve lack of scoring when I our defense is finally solid. If I recall correctly he was also the guy that gave Carolina a D- rating going into the 2005-2006 season. Luke is a good writer and I enjoy reading his articles but I am glad he is not Carolina’s GM. So DeCock is just standing tall looking for a job? Is that what you’re implying? Rask, Foegele, Wallmark, and Svechnikov are the only Carolina forwards with contracts next year. The only goalie with a contract next year, Darling, is playing in the AHL. We will find out a lot about Tom Dundon in the next 6 months. I forgot to count Staal who is on injured reserve. Teams have to be wary on Ferland. The trouble with playing in Carolina not a lot of people watch them play on a regular basis. When Ferland was in Calgary he would always start out like a house on fire score goals play that physical game and was a real treat to watch. Unfortunately he would play one physical game then disappear for a few games . He was especially prone to injury more specifically concussions. After returning to the line up after getting a concussion his physical game would disappear and he was not fully engaged. I liked Ferland I think he is a very good guy and I wish all the best for him as he has overcome some big personnel hardships. However if some GM pays him Tom Wilson money that is a serious overpay. 3 million range. If he was to be traded use the 3 million salary as a guide for the return. FlameFan great comments. I have been wondering how Ferlands concussion this year would impact his next contract. Especially the length of the contract. Your comments about Ferland are spot on with what we have seen this year. He is definitely a fan favorite and Carolina has needed a power forward like him for a long time. Interesting how so many fans talk about Skinners concussion history but not Ferland’s. Carolina should not trade Ferland. I don’t care if they end up losing him in free agency. He is just too important to the team and fans. Management should just come out and say he is not on the market which I believe would have a greater impact than adding a new player. Marner will get $80/8 years or $40/5 years. Unfortunately GMKD’s capitulation on the WW demands has shifted some negotiation power into the AM and MM camps. WW Asked for 8 and got 7 …. A nightmare/worst case scenario is that AM/MM get 8 first round picks …. this has an extremely low likliehood but is possible …. if AM not signed by 1/7 count on an offer sheet that best case-wise inflates the final settlement with Leafs by $0.5M and worst case is unmatchable and nets 4 first rounders …. Shannaplan V2?? I heard on the radio that Arz could offer-sheet a 1year at max…$16M… I thought WTF … why would they do that??? Would TML offer WW & Sparks to OTT for STONE & Anderson for a cup run? Glad to see someone realize that the Isles don’t really need Goalie Bob. I’m leery of his expectations for his next contract. Lehner has been great, but what a difference Trots has made. From worst in the NHL in goals against to 4th. Leafs biggest concern over next 10 years will be the cap signing Mathews Marner Jake but most importantly their net minder will be tuff. If they don’t sign Andersson than who and for how much most nights he is their best player. Boston has their top line signed for a long time and at reasonable money so they will add one more star. Rivalry will get crazy over next 5 years. Would dzingle for hamilton be a fair swap? If Blake can find a sucker to take Kovalchuck, he should be GM of the year. Kovalchuck is all for himself and his stats. He’s lazy and has no concept of hustle and defense. Good luck to Blake. Skinner to Buffalo having a career year. Lindholm and Hanifin to Calgary, both having career years. Maybe the problem in Carolina isn’t talent, but how they use the talent, especially on offense. I am uncertain about Matthews:is he just unhappy with Babcock? Injured? I don’t doubt his wanting to win but I am not sure he will ever be the stud that everyone predicted. Something is missing in his game, something that Eichel,. McDavid, McKinnon have that so far he lacks.